We‘re focused on quality, not quantity. We have a team that focuses on bringing the highest quality audience year after year. 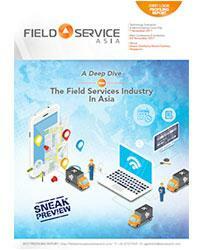 The decision makers, strategy implementers, and industry movers – that’s who you come to Field Service Asia to meet. We interview attendees to find out where they're investing, and then we send the findings to you in the Field Service Asia ‘Spend Report’. You'll know exactly who to talk to when you get here. Another thing making Field Service Asia the best marketing and sales investment of your year. Sponsoring Field Service Asia = your brand in the spotlight. Put yourself in front of 180+ Field Service executive decision makers waiting to meet a company like yours.